Confirmed number of guests is needed Four weeks before arrival, together with 30% non-refundable deposit and rooming list. 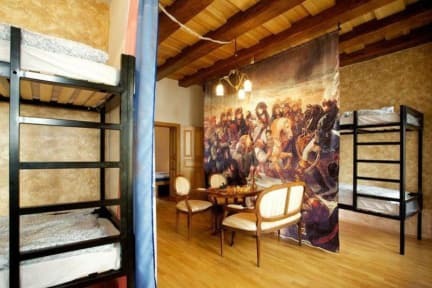 Group reduction is dependent on number of guests and nights. Please contact the reception directly. Hostel of the year 2012! This romantic, cozy and peaceful small hostel is located in a historical building in the heart of Brno, in the middle of the most popular attractions and within a very short distance of the train and bus stations. Treat yourself to the best and visit Hostel Mitte, which was awarded the title of Hostel of the Year 2012 by the Czech Youth Hostel Association. Stylish, with supreme levels of comfort and cleanliness, Hostel Mitte is the perfect place to call home during your stay in Brno. The hostel is located in one of the oldest buildings in Brno, and the interior design combines modern comfort with original antique furniture. 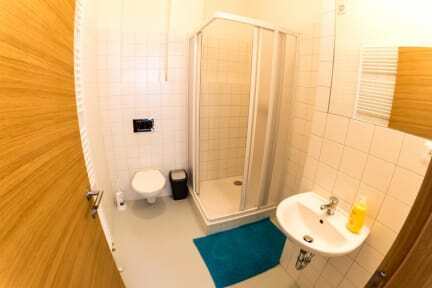 Hostel Mitte offers both private rooms and dormitories, which consists of bunk beds with thick mattresses, as well as curtains and lockers for your privacy and safety. Sheets and towels are available for free.A fully equipped common room with microwave, fridge and cooker is at your disposal any time of day or night. We aim to welcome you in the best way possible to the city we adore! Our receptionists are always ready to recommend places to visit, or to help you organise trip,s book tickets, or even show you around the sights or pubs! Wonderful staff, amazing location, the only slight problem is that you have to go to the third floor for the common room, and since most people don't bother, it's not super easy to meet other travellers. Otherwise, all is perfect.